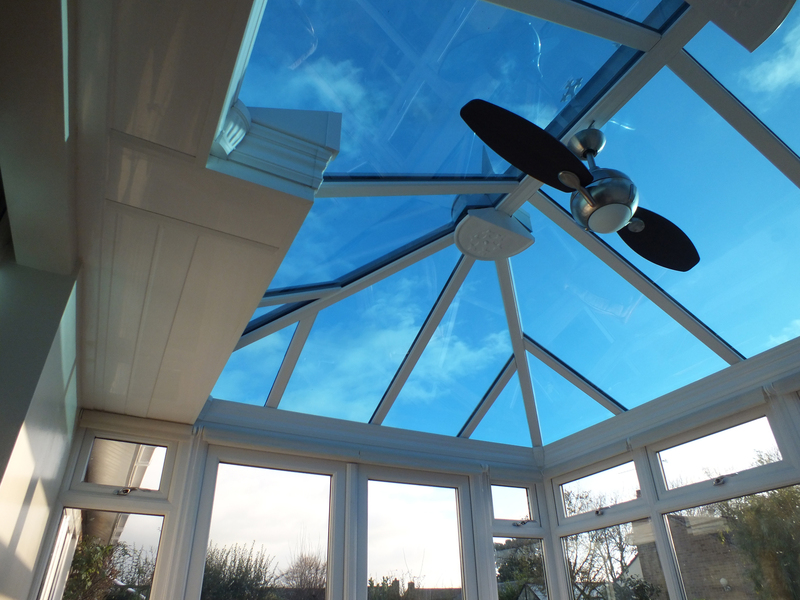 The 'Blue' window film specified for this roof was a bold choice and the result was a significant visual transformation that quickly evaporated our earlier concerns over colour selection. 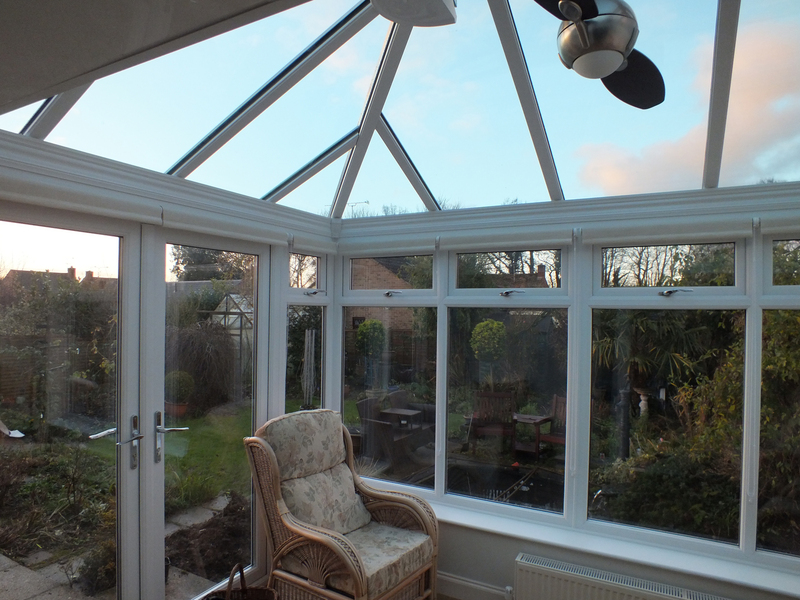 The series of photos shows the gradual change in both light levels and colour hue. 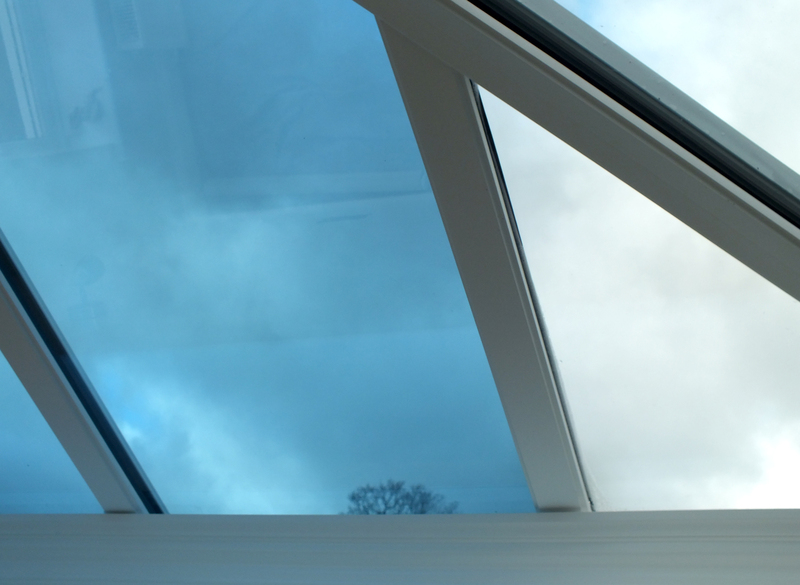 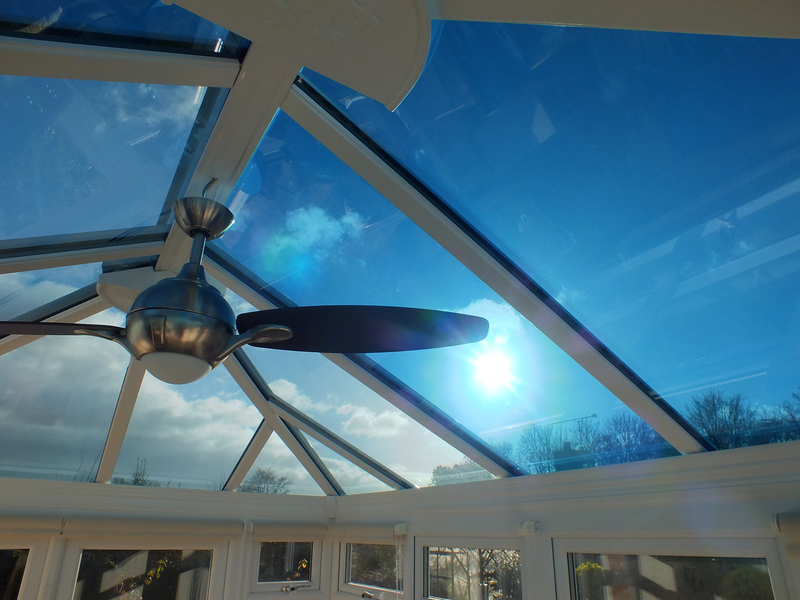 65% glare reduction complemented the conservatory's active blue glass - which is specified to reject up to 60% of the solar energy.